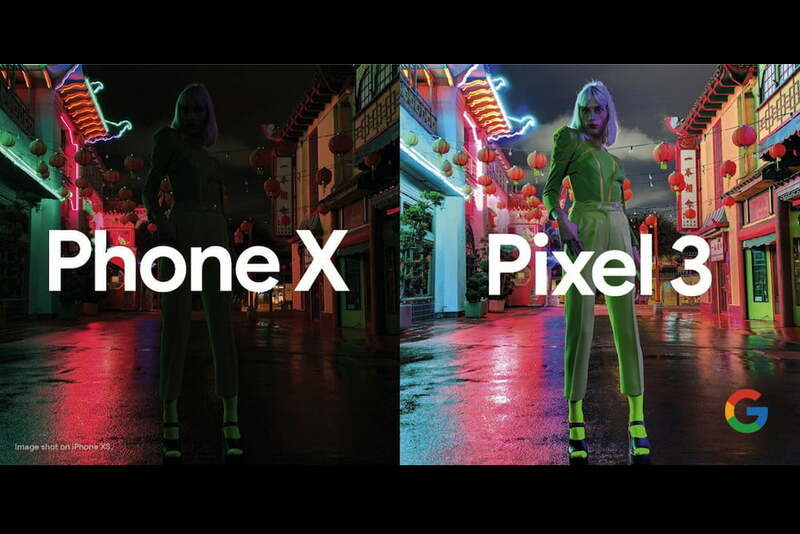 Google’s vice president of marketing, Marvin Chow, has sparked debate on Twitter after sharing an image comparing the cameras on the Google Pixel 3 and the Apple iPhone XS. Rather than a shot of a dramatic landscape, or a bokeh-filled portrait, the picture is of a low-light street scene, and demonstrates the difference between the iPhone’s camera and Night Sight mode on the Pixel 3. Both are very different photographs. Why? The Google Pixel 3 uses Night Sight to take its photo, a special camera mode that combines the HDR+ mode with some artificial intelligence magic to boost the colors and brightness in low-light photos. The results aren’t always as instantly dramatic as the one shared by Chow, but are rarely anything other than visually impressive. However, the Pixel 3’s picture looks astonishing, and would be the image most would instantly share online. The iPhone XS’s picture requires some editing to make it more shareable. Both have their merits and downsides. Which do you prefer?